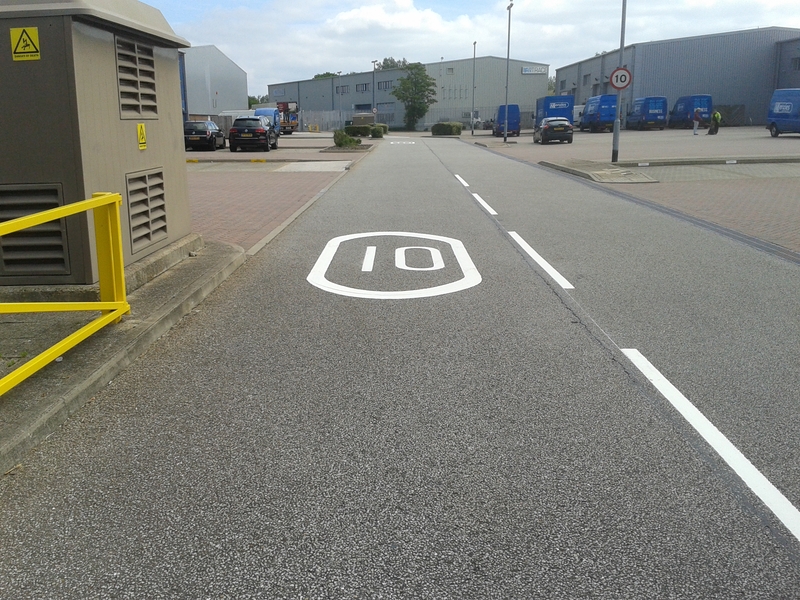 Thermoplastic Markings applied to a tarmac and concrete surface. Client wanted to ensure the safety of both his customers and staff when driving around the Industrial Park. We refreshed the existing road markings also adding speed roundels and highlighting the give way junctions – making the line markings more visible to the road user. 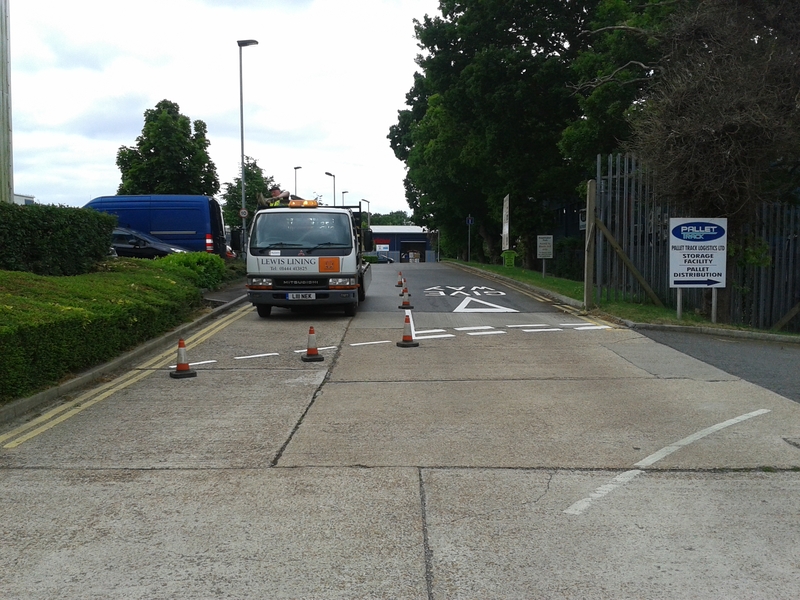 Work was completed out of normal working hours to minimise disruption.